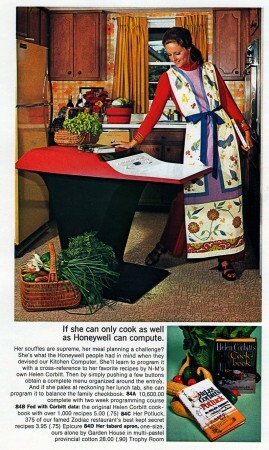 What this photo of the pant-suited housewife didn't picture was the refrigerator-sized processing unit that accompanied with the space-age console. (Perhaps it would be installed in the garage.) An industrial version of this computer controlled part of an English nuclear station, and units figured prominently in the early history of the ARPANet, but it's not clear how well it would work for recipe planing, given the limitations of 1969 user interfaces. 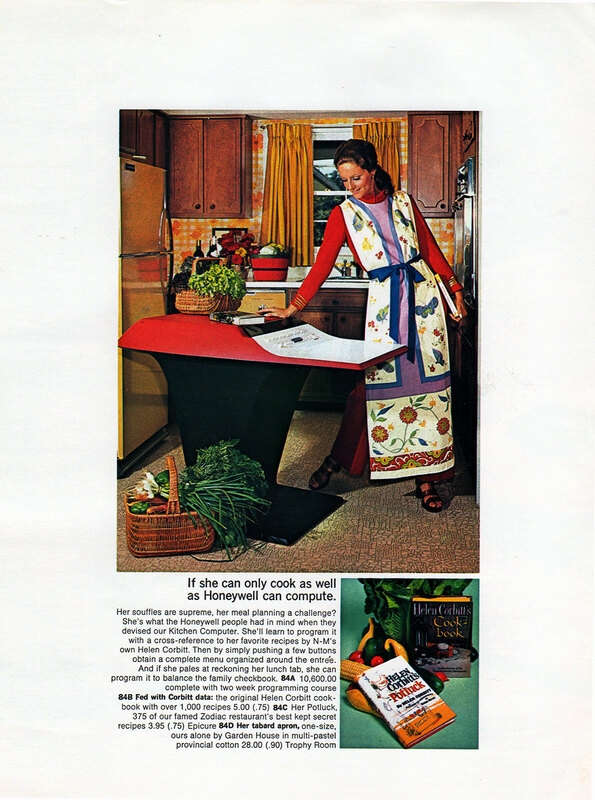 In fact, no Kitchen Computers were ever sold, according to sources. Perhaps is was the daunting sound of the included “two week programming course.” Oh well, there's always Helen Corbitt's traditional printed cookbook. (Neiman's sold a LOT of those over the years.) Check the Wikipedia page for more details on this artifact. Previous Previous post: It Walks!